New 15-inch model offers a 70 percent performance boost; 13-inch model now with quad-core CPUs. Apple on Thursday officially unveiled its latest upgrade to its MacBook Pro line of laptop computers. While the design hasn’t changed, the new MacBook Pro promises to reach new performance heights that video editors, audio producers, animators, developers, and other professionals will truly appreciate. That performance boost is supplied by Intel’s eighth-generation of Core processors, along with a change in the RAM being used, and new graphics processors. The heart of the new laptops, Intel’s “Coffee Lake” processors, actually became available last April, and Coffee Lake PC laptops have been on the market for a couple of months. Now Apple users get a taste of what Coffee Lake can do for the Mac: Apple claims a boost of up to 70 percent for the 15-inch MacBook Pro, while the 13-inch MacBook Pro offer 2x performance. In a media showcase to introduce the laptops on Wednesday, Apple hosted several demos by “pro users” who have been using the new hardware. 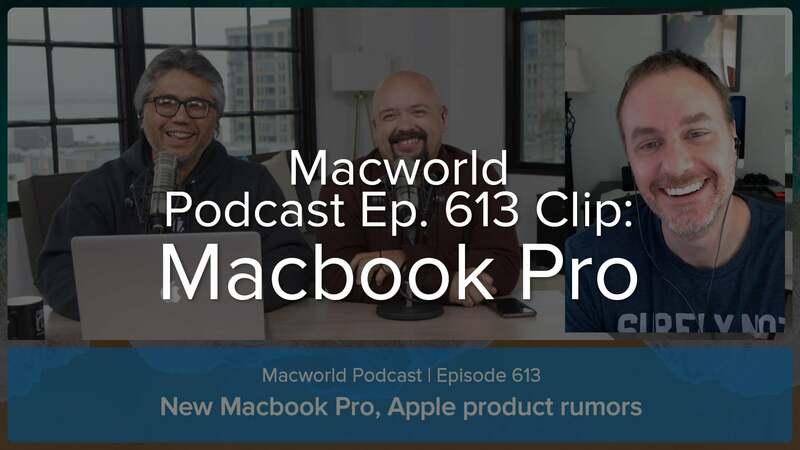 In one demo, producers from Elastic People, the makers of the “Despacito” music video, talked about how the new MacBook Pro allowed them to stop relying on proxies (smaller copies of the master files) while editing in Final Cut Pro X. 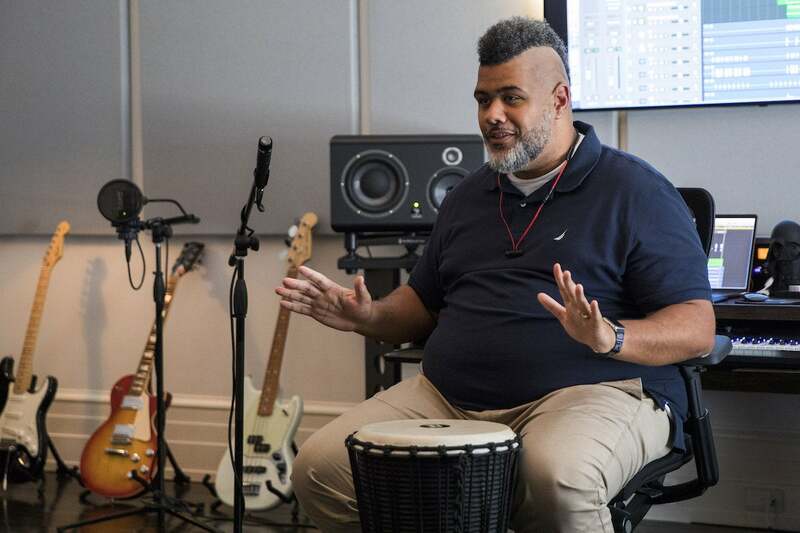 In another demo, music producer Warren “Oak” Felder, who most recently worked with pop singer Alessia Cara, said that he often pushed Mac hardware to its limits while working in Logic Pro, and that with the new 15-inch MacBook Pro, he hadn’t “reached that limit” yet. During an Apple showcse for the new MacBook Pro, music producer Warren “Oak” Felder talked about how the performance of the new 15-inch model affected his work. 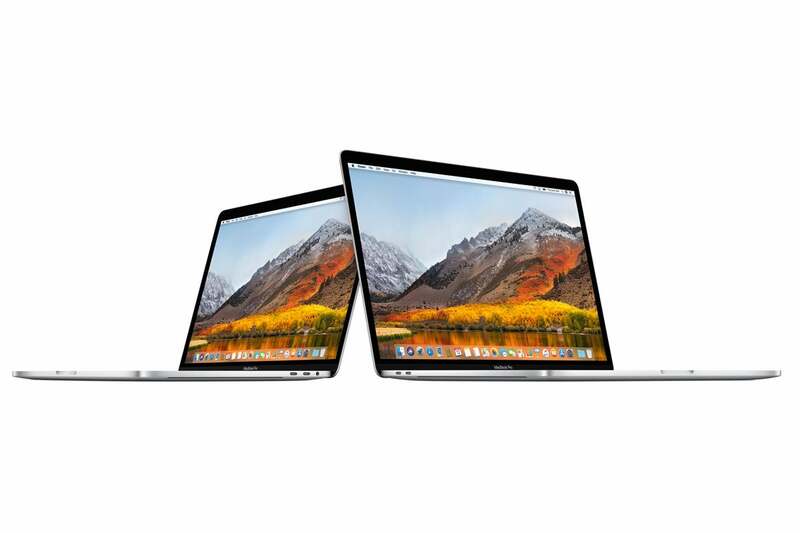 The new laptops include Apple’s currently-shipping operating system, macOS High Sierra 10.13. The laptops can be upgraded to the new macOS Mojave 10.14 operating system when it becomes available this fall. Apple’s MacBook and MacBook Air lineup, and the 13-inch MacBook Pro without Touch Bar, remain unchanged. 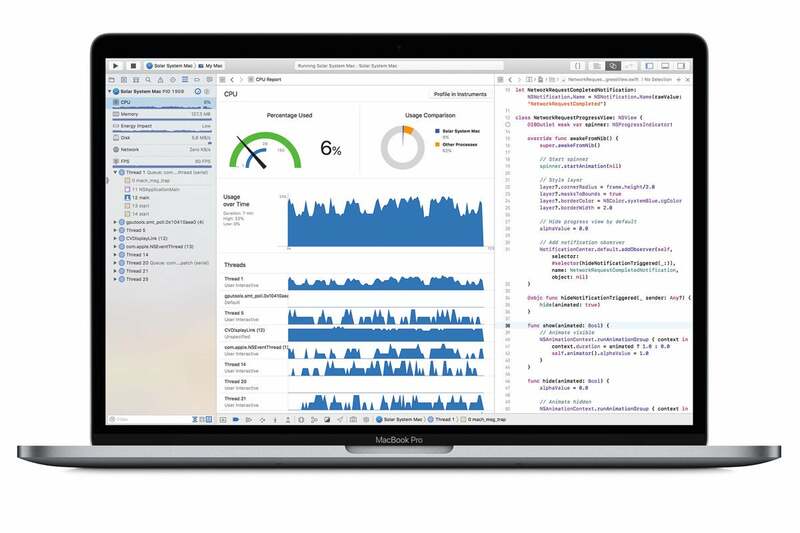 In addition to new processors, Apple is now using DDR4 RAM in the MacBook Pro, which should help performance. The maximum amount of RAM supported jumps up to 32GB in the 15-inch model, twice the amount of the previous MacBook Pro. 16GB is stil the max in the 13-inch version. The MacBook Pro contains a larger battery, but Apple representatives said that the power demands of the DDR4 RAM implementation essentially negates any possible gain in battery life over the previous models. As with the T1 in previous models, the new MacBook Pro has a T2 processor that Apple uses for dedicated processes, such as the Touch Bar, Touch ID, Secure Enclave, and dedicated storage encryption. (The T2 made its debut in the iMac Pro.) New to the T2’s functionality is support for “Hey Siri,” where, just as on the iPhone, speaking the phrase triggers the Siri digital assistant. Besides the internal changes, Apple has made a couple of external updates. True Tone, a feature that originated on the iPhone, is now in the MacBook Pro Retina displays and Touch Bar. With True Tone, a device can sense the ambient light of your work environment and adjusts the colors so that images appear consistent. And maybe what might be the most anticipated update to the MacBook Pro—in light of class-action lawsuits and a new Apple repair program—Apple is introducing the third generation of its butterfly keyboard. The keyboard, with its low profile and short key travel, has been improved so that it is quieter than before. Whether the keyboard is more reliable and durable remains to be seen, and we’ll definitely make note of the keyboard experience in our upcoming review. Prices starts at $2,399. Here are the key components that are specific to the 15-inch MacBook Pro models. Prices starts at $1,799. Here are the key components that are specific to the 13-inch MacBook Pro models. The new MacBook Pro is now available for purchase at apple.com.